Click here to check out other promotions by Canvas Boutique Hotel. This event happens, well, every Friday night at the hotel’s restaurant, The Painted Table. 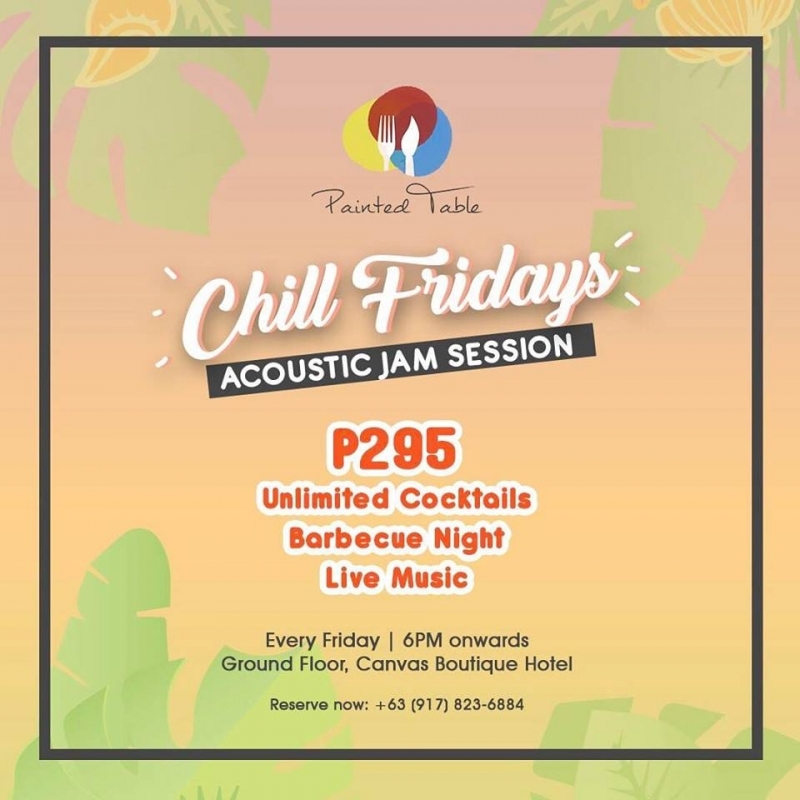 Feast on mouth-watering barbeques, raise a glass to your favorite cocktail, and chill to your favorite acoustic music live! You can have all that for only PHP 295 per person.